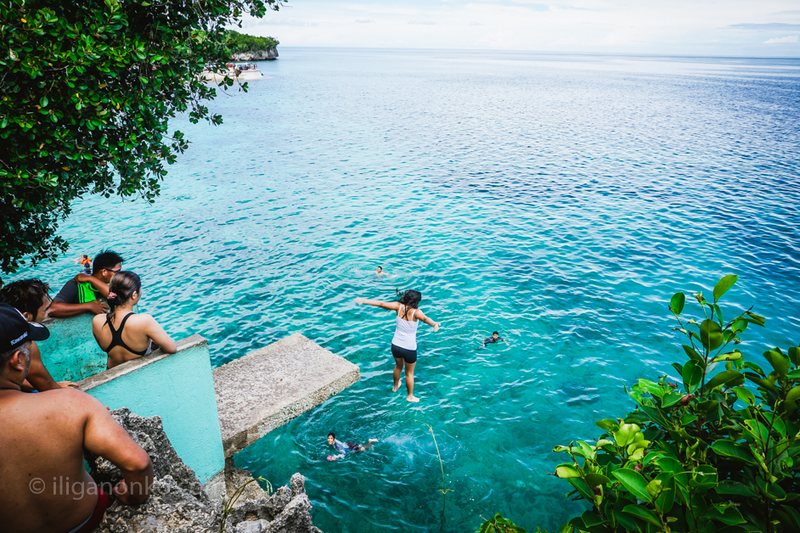 Adventurous travelers flock to Salagdoong Beach to experience the thrill of jumping from a 50 ft. high cliff. 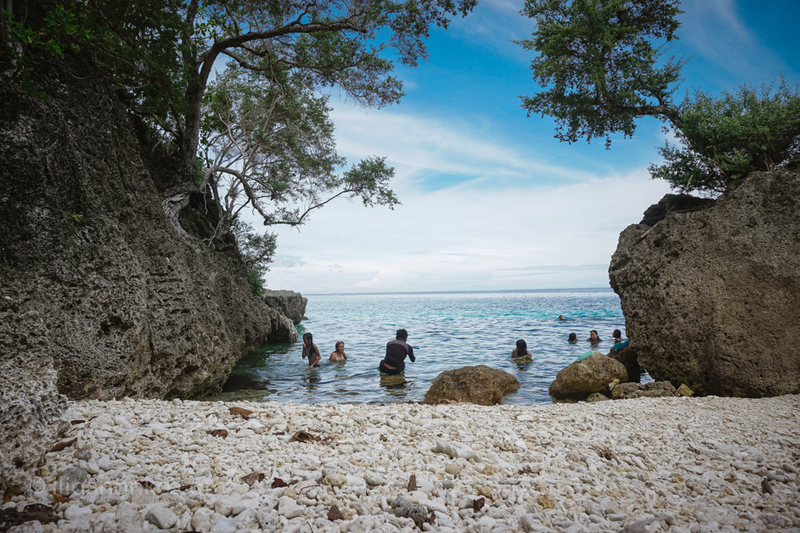 Located in the Northeastern part of Siquijor Island in the town of Maria, it is one of the top attractions during the peak season. 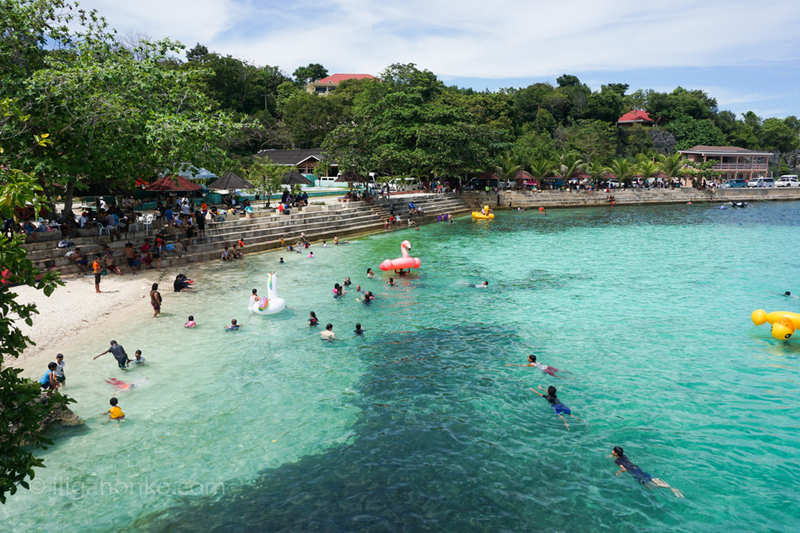 When I went there during the Holy Week, the beach is literally filled with tourists from nearby provinces. A local told me that very few foreigners come to this place during peak season because of the crowds. I was already at the beach early in the day and was able to enjoy swimming while there are still very few people. But by midday, all the cottages were occupied and yet I can still see vans and buses arriving filled with families on holiday. One thing I noticed here, the water in this area is cold. There might be a spring somewhere that goes out to the sea. Despite the crowds, there are still places at the beach where you can enjoy some peace and quiet. On the east side, they have a designated area for snorkeling. Very few people come here because of the rocky terrain. But if this is not an issue for you then you can enjoy the cool waters minus the noise and the crowds. You can also rent snorkeling gears for 50 pesos per hour and explore the underwater ecosystem. 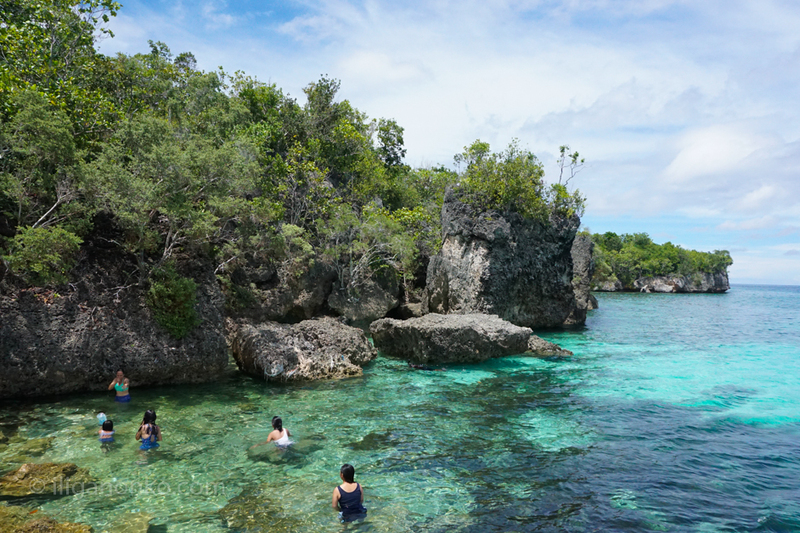 Since this is a protected area, the corals here are flourishing and a variety of colorful fish species swim around in abundance. I think the best time to enjoy Salagdoong Beach is during off season. 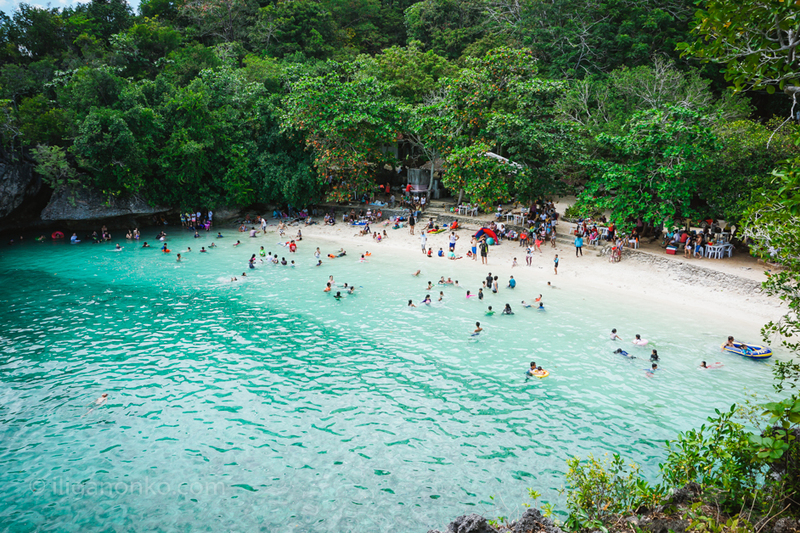 I would love to explore its shoreline, spend hours snorkeling, do some paddle canoeing or just laze around the beach with very few people around. You can actually stay here for a day or two since it’s a self-contained community. There’s a hotel nearby and you can buy food at the canteen if you opt for inexpensive food.